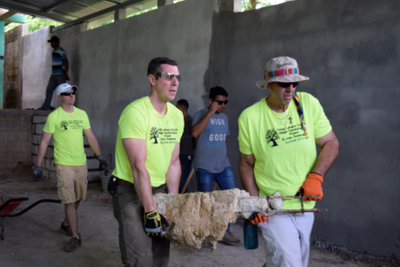 The International Mission Team is committed to transforming lives in the village of El Jute in Guatemala through the provision of clean water, education, the Gospel and future sustainment. For more information please contact Mike Hinman at (Email) mikehinman21@gmail.com. 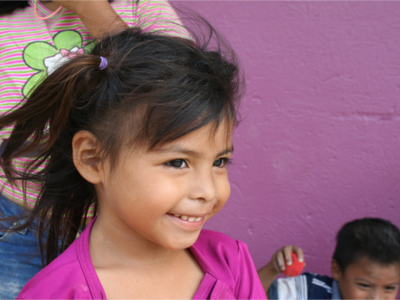 Our Guatemala Village Transformation Project in El Jute is coming close to its end. Lord willing, our last big build project will be accomplished on June 22-29, 2019. Would you help us reach our goal? This project in June will be our largest undertaking for the village. The goal is to build a church as well as a home for the pastor. The villagers would like to have a dedicated church building that they can use full-time for ministry. Having a pastor’s home in the village would allow the pastor to have a permanent place to stay and grow closer to his congregation rather than commuting each week to the village as he does now. We consider the spiritual health of the village our most important project in the village. The building cost for this project will be $23,000 for the church and $8,500 for the pastor’s home. Fundraising has now begun so we can reach this goal. Donation envelopes can be found at the display in the Narthex. Checks should be made out to Trinity Lutheran with Guatemala Village Support in the memo field. You may also donate online at trinityjoppa.org/giving. Please choose Special Contribution and mention Guatemala in the memo field. 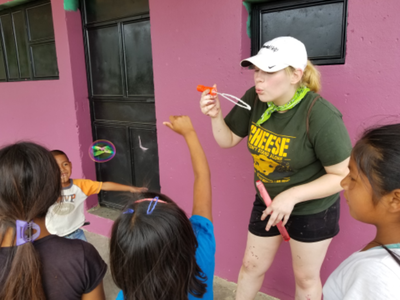 In June of 2018, a team of 21 people traveled to El Jute and worked on school repairs. Where there were broken and missing windows, new ones were provided. Where there was an old rusty roof, a new bright, shiny corrugated steel roof was provided. 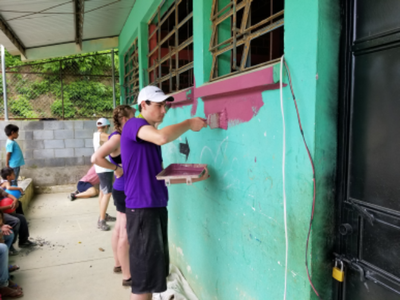 Both the large and the small school buildings got a fresh coat of bright purple paint which matched a little better with the pink paint that is on their new bathroom building. It took many hours, but many hands worked on this project, including older students school administrators and teachers. One of the biggest improvements was done in the large classroom in the back of the school. This classroom had a dirt floor, concrete block walls and was connected to the upper part of the building by broken concrete steps. That classroom received new concrete steps, a new concrete floor, stucco on the walls and a coat of pretty pale blue paint. When we arrived at the village this time, we found out that our donated funds were able to be stretched more than originally thought. There was a brand-new security fence around the school yard. And we were able to provide new whiteboards and desks for the classrooms to replace their aging ones. As part of our trips, we always hold Bible School to teach the kids something about the Gospel of Jesus. This trip we taught them about being salt and light in their community. We even held a candlelight ceremony like we do at Trinity where each child received a candle to hold. 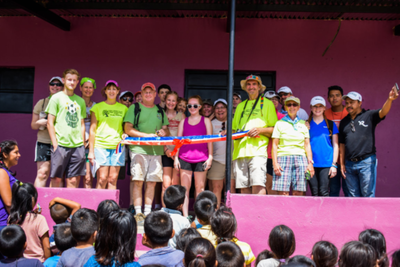 From the 2018 Summer Mission Team and the villagers of El Jute, THANK YOU to the 100+ supporters who provided the funds needed for our summer school repair project in the village. The kids of our village were so excited to see the improvements to their classrooms and school buildings. The kids, no matter what age, are such a joy to visit and be with. They and their families always tell us how much they appreciate what our congregation has done for them. Their smiles are definitely contagious and they are becoming like family to us. Thank you very much for your support of this project. SEPTEMBER 2017 GUATEMALA TRIP A SUCCESS! 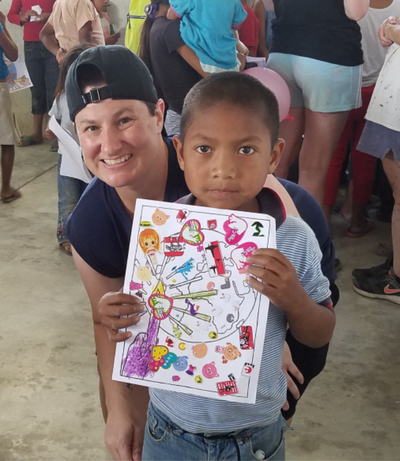 Our trip to Guatemala for our Village Transformation Project in September 2017 was a huge success and we would like to share what our team accomplished during the week. We started off with our bathroom project. Mornings were spent building a three stall bathroom made of cinderblocks. We sifted sand, shoveled rocks, mixed concrete, hauled water buckets, and helped pour concrete pillars on the corners of the bathroom. It was tough work but rewarding as we saw the bathroom making progress during the week. 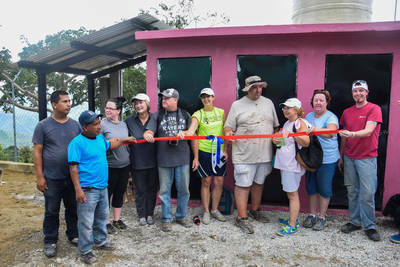 By Friday, it was a bright pink three-stall bathroom complete with real toilets and running water to use in a wash station. It’s definitely an improvement over the concrete hole in the ground they had before. We have been able to see the positive improvements that our April water project has created. All over different areas of the village we could see water pipes being laid and water flowing to homes that had limited access before. Our water project is also what enabled the bathroom project and the wash station. The next project was the playground. We got a lot done with a ton of help from the villagers. We had moms, dads, teachers, the headmaster of the school and kids of all ages helping us. Many hands definitely made light work. We moved dirt and rocks to level out the playground area, mixed a lot of concrete, and moved playground pieces into place. The kids were so excited about the playground that they could hardly stand it. They were supposed to wait until Friday when the concrete set to use it, but it was nearly impossible to keep them off! We were really excited to see all ages with a desire to work. That's one of the reasons we picked this village in the beginning. We felt there was a real desire in them to better their community. 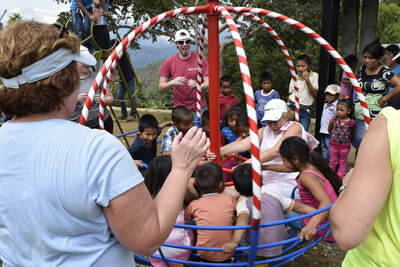 Before the dedication on Friday, we got a chance to spend some time just playing with the kids on their new equipment. The laughter and excitement of the kids was infectious and there were smiles all around. The kids were giggling, running, sliding, spinning and anything else they could think of. They had already gone down the sliding board so much that the paint was starting to wear down! Relationship building is always a part of our trips. 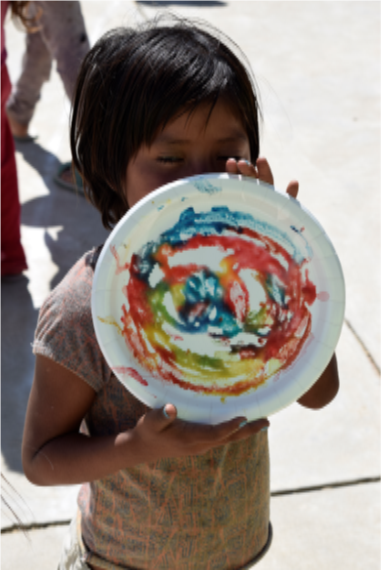 In the afternoons, we did VBS, games and crafts with the kids. Ben Lander told them the story of creation with a little help from a translator and some big posters we had made. Moms were invited for a moms group while the kids did crafts. One day the kids made butterflies with paper plates, pipe cleaners and about 10,000 stickers. The kids covered every possible inch they could! We also had the kids make fingerprint pictures of flowers and trees using twelve different color stamp pads. They got really messy but had smiles on their faces as they showed us their masterpieces. Each day there was a time to play games like jump rope, sidewalk chalk, bubbles, Uno, soccer, tag, Frisbee and hopscotch. It was fun to just allow ourselves to be kids for a few hours. Friday’s Dedication Day is always special. First we all gathered with a bunch of kids and moms in one big classroom. We were each given a handmade note from each grade of the school. A representative of that grade would come up on the platform, give us the note and then give us a hug. They also gave us four handmade ornaments. One of the moms that worked really hard with us came up and made a little speech thanking us and telling us how much the village appreciated everything. The headmaster told us how we had made the kids so happy. We gave the school several soccer balls, over 1,000 pencils and hundreds of notepads. Then everyone headed outside to cut the ribbon to the bathrooms. The village leader (Mario) came up and thanked us for our hard work. We cut the ribbon and they turned on the water for the first time on the washing station attached to the bathroom. The kids were splashing in it and washing their faces and arms. Our team owes the success of this project to the huge amount of support from the congregation, for not only the funding of these two items, but also for emotional and spiritual support for the team members. We appreciated all of the prayers sent on our behalf for safe travel and productive days. World Help is a Christian humanitarian organization that has served the physical and spiritual needs of people in poverty around the world for 25 years. One of their large undertakings is Village Transformation in the country of Guatemala. Eighty percent of people in rural Guatemala live in poverty and sixty percent are drinking contaminated water. Village Transformation projects combine the resources of World Help with a church in the US to provide clean water, schools, churches, etc. 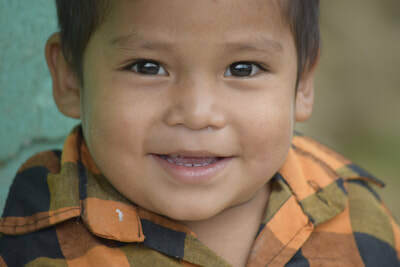 Hope of Life is a social and humanitarian organization founded to promote the social, educational, medical, and spiritual development of poor Guatemalans. 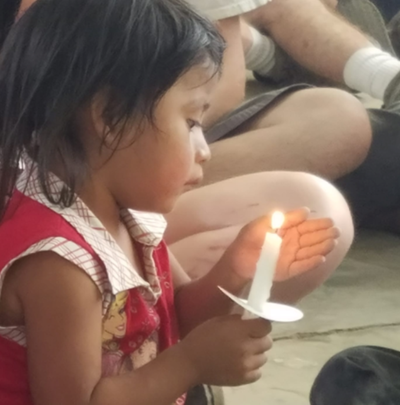 Their vision is to rescue the future generations of Guatemala and the world through the power of a practical Gospel…to never meet a physical need without also meeting a spiritual need. Their mission is transforming generations from dependency to independence, to become strong leaders.